Purina Pro Plan Veterinary Supplements Calming Care has excellent palatability, according to the manufacturer. Nestlé Purina PetCare is releasing a nutritional supplement formulated to support dogs suffering from fear or anxiety. 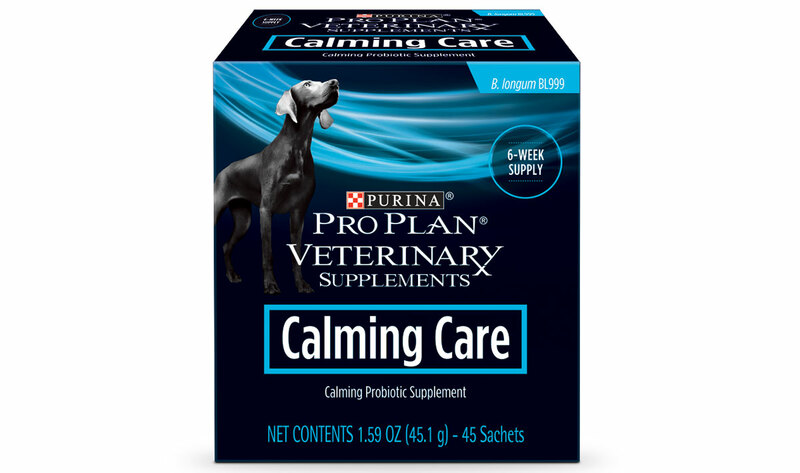 Purina Pro Plan Veterinary Supplements Calming Care contains the probiotic strain Bifidobacterium longum (BL999), which studies have shown helps dogs maintain calm behavior. The product, which will be sold exclusively to U.S. and Canadian veterinarians starting in January 2019, is designed to be sprinkled over dog food once a day. Calming Care comes in a box of 45 sachets, which is enough for six weeks’ use, or about the time pet owners should notice changes. Calming Care was tested in a blinded, placebo-controlled, 15-week study using 24 Labrador retrievers that demonstrated anxious behaviors, the manufacturer stated. Ongoing use is recommended to maintain efficacy. 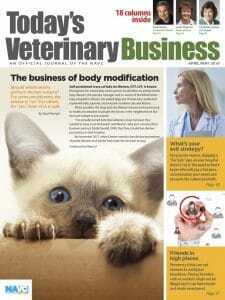 Calming Care is appropriate for the management of noise phobias involving anything from fireworks and thunderstorms to the beeping of a microwave, said Jason Gagné, DVM, DACVN, director of veterinary technical communication for Purina Pro Plan Veterinary Diets. The supplement also could help with separation anxiety, during veterinary visits, and when a dog encounters a stranger or another animal.